Collaboration is paramount to the work Goodwill does in this community. Our community partners have made significant contributions of time, donations or other services to advance Goodwill’s mission. We’re proud to celebrate and recognize their impact. The Apartment Association of Kansas City’s (AAKC) mission is to protect and inspire the multi-family industry through superior education, advocacy and communication. The AAKC serves hundreds of members with collectively over 80,000 units in the Greater Kansas City area. Those represented include property owners, developers, managers, and their residential communities. AAKC regularly hosts donation drives throughout their extensive communities, members and residents benefiting Goodwill and our mission. Sports Clips Haircuts provides Goodwill with vouchers for local job seekers that grant them a free haircut, enabling them to look and feel their best for their job interview. With this voucher, our clients receive The MVP Experience which includes a precision haircut, legendary hot steamed towel, massaging shampoo and relaxing neck and shoulder treatment. Learn more about Sports Clips here. Goodwill is proud to partner with local animal shelters to provide them with blankets and towels to keep the animals clean and comfortable while they await a new home. Learn More about Great Plains SPCA, Friends of Parkville Animal Shelter, Unleashed Pet Rescue, and Pawsitive Tails Rescue. Goodwill donors are generous. In fact, often when people donate their clothing, furniture, and household goods to Goodwill thrift stores, they also ask to donate food and toiletries. Realizing Goodwill could help feed the local community Goodwill formed a partnership with Harvesters-The Community Food Network. Now, donors and shoppers can donate to Harvesters and Goodwill at the same time by using Harvesters barrels at area Goodwill locations. Through this collaboration, we’re giving old things new life, filling Harvesters Food Pantries, and helping individuals in our local community thrive as a whole. Three Northland CAPS students are planning a Goodwill donation drive for their semester project. Northland CAPS immerses high school students in professional environments through engaging curriculum that is driven by passionate industry leaders and delivered by visionary instructors. Learn more about Northland CAPS here. Four Blue Valley CAPS students are planning a Goodwill donation drive for their semester project. Blue Valley CAPS strives to revitalize the culture of education by creating n innovative environment where business, education, and community collaborate to become a global learning community, creating meaningful experiences for students, promoting their quest for self-discovery and developing them as innovative leaders of the future. Learn more about Blue Valley CAPS here. Goodwill is honored to partner with The Container Store to help you declutter and live the organized life while helping to change the lives of the people Goodwill supports. The Container Store hosted 2 donation drives for Goodwill at their Overland Park, KS (4701 W 119th St, Overland Park, KS 66209) and across the country for you to easily donate your goods. Birdies Boutique is a locally owned undergarment business. Birdies partners with Goodwill to provide clients with custom undergarment fittings and free undergarment items. We are proud to partner with Birdies to provide undergarments to help clients feel more confident entering the workforce. Click here to learn more about Birdies. 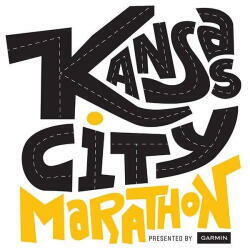 Goodwill is proud to partner with the Kansas City Marathon on October 21st. It is the second largest marathon in Missouri with over 1,200 participants. Goodwill will be the official collector for clothing donated by runners. 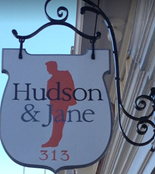 We are honored to partner with Hudson & Jane - a locally owned boutique in Kansas City. Hudson & Jane will be collecting used business clothing for Goodwill's Career Corner at our Mission Support Center. The Career Corner will be a free accessible resource for clients who are in need of business clothing for jobs and job interviews. Benjamin F. Edwards & Co.'s mission is to empower their financial advisors with the freedom to address their clients' needs as they see fit in an atmosphere grounded in trust, integrity and mutual respect. They are committed to client-first service, and support their financial advisors with the comprehensive resources they need to provide the informed and objective financial advice their clients deserve. We are thankful for their partnership with us for the 2018 Power of Work Awards. We are proud to partner with College Hunks, a national moving and junk removal company. College Hunks provides residential and commercial pick-up services at a reduced fee for Goodwill donors. When you're wanting to donate a couch to Goodwill but can't take it yourself, College Hunks is there for you. Click here to learn more about what they do. If you are interested in partnering with Goodwill, please contact Klassie Alcine at (816) 842-3372, x297 or kalcine@mokangoodwill.org. Thank you! Your donations make it possible for Goodwill to achieve its mission. Your donations are sold locally in Goodwill thrift stores. All 100% the proceeds from the sales of these donated goods support the mission of empowering people with disadvantages and different abilities to earn and keep employment. Plus, Goodwill works tirelessly to keep items from ending up in landfills. Last year, Goodwill was able to find new uses for 15 million of pounds of unwanted stuff! If your city, neighborhood, school, business or group would like to support Goodwill's work in this community by hosting a donation drive, contact community@mokangoodwill.org. Thank you to these organizations that hosted donation drives in the past year!